Halloween is a holiday that many kids eagerly anticipate. Naturally, they are thrilled with dressing up in costumes, but an even bigger thrill is the thought of candy. While enjoying candy is not the worst thing a kid can do, here are some tips for keeping teeth healthy at Halloween. Parents Set the Rules: As a parent, you can do your part to manage the quantity of sweets your children consume. There’s no need to be overly protective about it, but you also need to set reasonable expectations for your child. Set a Timetable: Let children enjoy their Halloween candy over the course of the following days and with meals. The saliva the mouth produces while eating will help reduce the acids in the candy that cause decay. Choose Candy Wisely: Try to minimize hard and sticky candies. These typically remain in the mouth longer than other candies, which encourages the growth of bacteria that is harmful to teeth. Encourage Water After Candy: A glass of water after a candy snack is a great way to rinse the mouth of harmful acids. 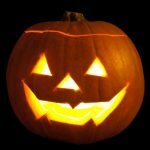 Maintain Brushing Habits: Halloween is actually a good time to reinforce the importance of brushing with your children. Discuss the damaging impacts of sugar on the teeth and remind them exactly how brushing keeps their teeth healthy. The truth of the matter is that Halloween and the days after are actually not as bad when compared to any other time of the year. The essential points to keep in mind are to reinforce brushing teeth regularly, limit the candy intake, and be accountable as a parent. Keeping teeth healthy at Halloween is not hard to do. Follow these tips and schedule a visit with Dr. Buran in Acworth GA. From routine cleanings, fluoride treatments, and complete smile makeovers, Dr. Buran offers the latest dental techniques to give children the most up-to-date dental service in Acworth and Cobb County.